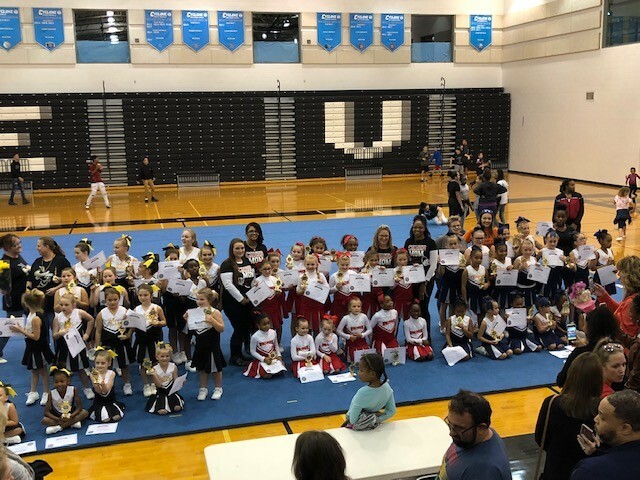 2018 Cheer Competition & Showcase Results! Updated Thursday November 8, 2018 by CFA. We want to send a big CONGRATULATIONS to all the cheer squads who competed in CFA's Annual Cheer Competition & Showcase. They ALL did an AMAZING job. Thank you to ALL the cheerleaders, coaches, volunteers, and parents for making this season a success. You can see ALL of the Cheer Teams perform during the Championship Day games on Saturday, November 10th. If you have any pictures from the Cheer Competition that you would like to share, please send them our way!